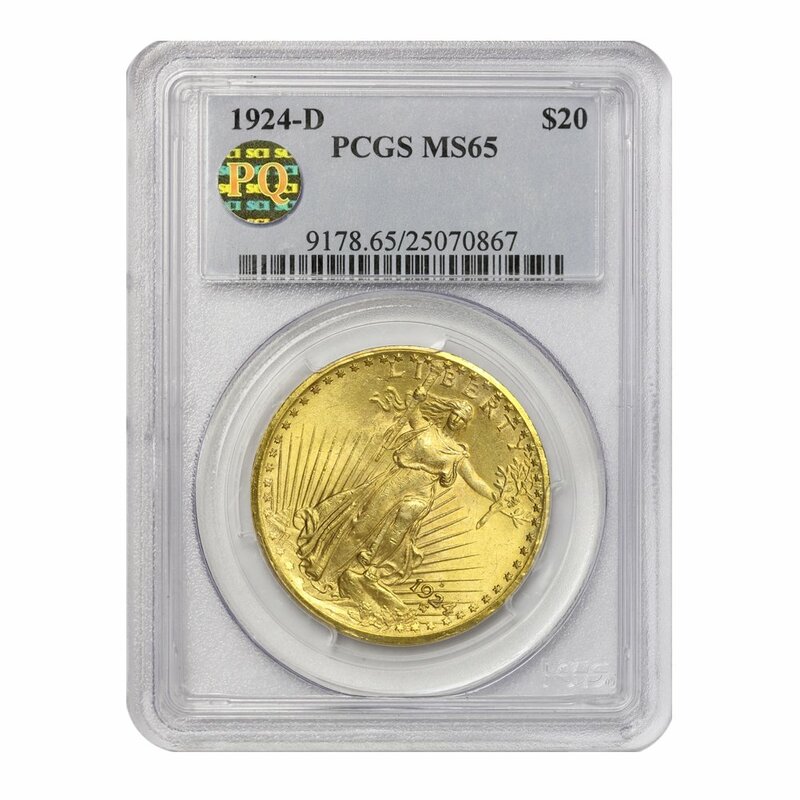 This 1924-D $20 Gold Saint Gaudens, graded MS65 by PCGS, is as beautiful as it is rare. This Double Eagle features a warm honey golden hue and the surfaces radiate with magnificent original mint luster. The extensive details on the devices are quite beautiful against the smooth, creamy fields. From the sharp definition of Liberty’s hair, fingers, and toes on the obverse, to the crisply defined eagles’ beak, neck, and feathers on the reverse, this exquisite 1924 Denver minted gold coin has extraordinary eye-appeal. This outstanding investment coin has also been awarded the prestigious PQ Approved sticker for its impeccable condition.